Melissa Musick and Anna Keating are a mother-daughter team who maintain the website TheCatholicCatalogue.com and write for a variety of publications. Ms. Keating, a freelance writer and former high school teacher, has written for First Things, Salon, America, Notre Dame Magazine, Commonweal, Church Life Journal, the Denver Post and various other publications. She graduated from the University of Notre Dame and owns and lives above Keating Woodworks, a handmade-furniture studio in Colorado. Ms. Musick, Anna’s mother, is a columnist for National Catholic Reporter and Celebration, and is the author of eight books on religion and spirituality. Her essays have appeared in First Things, Commonweal, GIA, Notre Dame Magazine, National Review, Catholics in Alliance for the Common Good and Give Us This Day. She graduated from Grinnell College and St. Thomas Seminary and was a college chaplain for nine years. 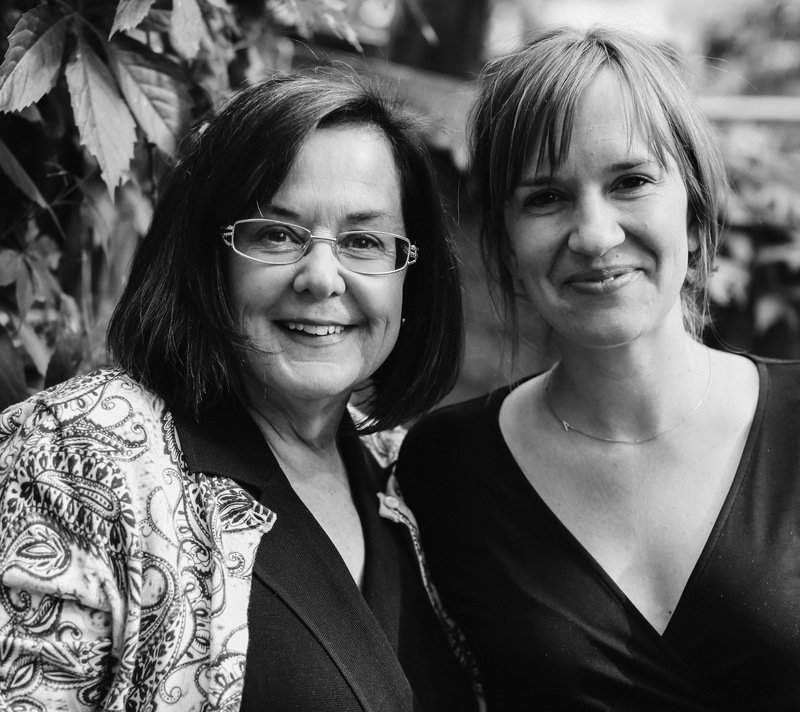 As a mother-daughter team, Ms. Keating and Ms. Musick are co-authors of the new book The Catholic Catalogue: A Field Guide to the Daily Acts That Make Up a Catholic Life, published by Image Books on Feb. 23. On Feb. 22, I interviewed them by email about their new book. Anna: At Mass in Chiapas, Mexico, Pope Francis said recently, “We live in a culture that seeks to suppress all cultural heritage...in pursuit of a homogenized world.” He urged the indigenous peoples there to defend the “wisdom of their elders.” In our own small way, that’s also what we’re trying to do with this book, to defend and pass on the wisdom of our elders. It is an ancient and compelling way of life, and it’s at risk of being lost. You can’t truly value something and want to protect it, unless you know it. Melissa: When Anna was at Notre Dame she was struck by the number of students who were Catholic but hadn’t grown up with any of these customs. They had no joyful memory of keeping the feast of St. Nicholas as part of their Advent observances, for example. There’s a whole generation of young Catholics who think they’ve been baptized into endless culture wars. We’re not denying the reality of issues that must be confronted and debated and struggled with or against, but we want to call them, and ourselves, back to the foundation of our faith, which is neither a political theory nor an ethic, but a daily life of prayer and work, fasting and feasting, of going out to encounter Jesus. Before we ever began fighting—and, granted, that began early—Christians were setting tables and welcoming guests, caring for the sick, burying the dead, receiving Eucharist, marking the hours of dawn and dusk, keeping prayerful watch through the night, honoring and remembering martyrs, just as we continue so to do 2,000 years later. Anna: This book is for anyone, on any point of the spectrum: those who have just joined the church, cradle Catholics, the spiritual but not religious. It’s a book for people looking to understand the faith and put it into practice. Melissa: We probably began with young Catholics in mind, the ones who seem so tempted by the “church of none.” We hoped, as well, that our book might be a way for an older Catholic to connect with a younger one. Maybe they could find a practice to do together or discuss. Maybe talk of Easter foods will lead to a conversation about the ethnic dishes a parent remembers from her childhood. She might even decide to bring one back to the table. But we realized early on that we were also writing for all Christians, both lower and upper-case “c” Catholics. Humans need ritual and reverence. Anyone who has ever put a small child to bed knows this. Children want the familiar lullaby, the beloved stuffed animal, the soothing order that allows them to move from wakefulness to sleep. We have lots of Protestants who follow us online and want to know more about Advent and Lent traditions, who want to pray with Mary, who want an understanding of Christmas and Easter as more than individual days. So this book is for all Christians who want to find richness and holiness in daily life. What does the “Catholic Catalogue” in your title mean? Anna: It’s a wide-ranging book, a catalogue of sorts, from baptism to funeral, birth to death, and everything in between. We go into the meaning and history of the most foundational rituals, such as baptism, to the more obscure devotions, such as lighting bonfires by the water on St. John’s Day. Melissa: We wanted the book to be accessible, in the way a catalogue is accessible. You can open a catalogue and find a single item or entry of interest and then put it away. Maybe a reader wants to know how to plant a Mary garden. What plants belong? Great. But we hope that, like any interesting catalogue, readers may come back and look at other entries. Our guiding thought has been, “Just try one thing.” We believe one practice will lead to another, simply because the practices of the church are beautiful and necessary, even the hardest ones. How is this book a “field guide,” as your subtitle puts it? Anna: It’s intended to be taken into the wilderness of daily life. People’s lives are hectic and hard, in all sorts of ways. Maybe you have a teenager who is struggling with whether or not to be confirmed, or you’re struggling with a church teaching. It’s good to have a guide, something you can read, or give to others, to help them and yourself along the way. Melissa: We were thinking of a bird book; you know the one that’s languishing somewhere on your bookshelves. Then, one day, there’s a bird outside your window and you want to know what it is. You get the field guide and look it up. For a lot of people I know, satisfying that curiosity one time leads to more curiosity and before they know it, the field guide is sitting right there on the kitchen table beside the picture window, dog-eared from much use. That’s our hope, that someone will look up to see what it means, say, to use holy oils or incense and find that interesting enough to come back for more. The real test, we know, is taking some of our ideas and suggestions and putting them into practice. When I’m giving talks or leading retreats I often tell people, “If you want to change the life of your household, eat meals together.” Start there and you’ll want to delve deeper. What are some of the “daily acts that make up a Catholic life” referenced in your subtitle? Anna: How to name a child, how to be a god-parent, going on retreat, domestic processions and pilgrimages, medals and scapulars, Christian meditation, praying with Mary, living Catholic social teaching, getting a Catholic tattoo, dealing with sickness and suffering, baking bread with your kids and teaching them about the Bread of Life, making and praying with candles—the list goes on. Melissa: I often think first of morning prayer. Morning prayer orients us to the day. We acknowledge the day and all we will meet and do in the day as in God’s hands. It changes every encounter. Every Christian should know the ancient patristic teaching, “What Christ assumes Christ redeems.” What a radical notion. It means all of our lives, from birth to death—eating, working, sleeping, weeping, laughing, traveling, bathing, suffering, talking with friends, mourning, going to the bathroom, dying—all of it is sacred because it is shared with Christ. Recognizing this, the church works to help us redeem time itself by acknowledging its holiness. And part of the way the church does this is to set times for prayer. What led the two of you to collaborate on this project and how did that process unfold? Anna: I was a high school teacher when my son was born, but he had so many health issues that I ended up leaving my job to care for him. I missed teaching and was looking for a new challenge. That’s when my mom first approached me about writing this book. We sensed that there was a need for a book that could meet people where they were, and it seemed like the right project for us to do together, in that, as a family, we were grounded in the experience of living this life. I also think the timing was fortunate. Many people are taking a second look at a church and a religion they thought they knew. Melissa: I had been wanting to do this project for a long time, actually since I was an undergraduate at Grinnell College in the 70s. I still have a copy of a book that came out then, called The Jewish Catalogue. It was written for young Jews who knew they were Jews but didn’t know what it meant to live a Jewish life. I thought, and still think, that Catholics need their own version of The Jewish Catalogue. Anna brings the perspective of her generation, as well as the perspective of a young mother who is in the midst of raising young children and forming them in faith. She was the one who suggested we begin with a website. I’ve come to see how valuable that site is for reaching people, and I’ve also seen how it helped us tailor the book to meet the needs of our readers. How do your personal backgrounds influence your approach to this material? Anna: I had an odd childhood. My mom was the person who taught me how to chant the Psalms when she was a campus minister, who let me light the candles on the Advent wreath when I was a little girl, who encouraged me to have my feet washed or become a Eucharistic minister in high school. I protested the invasion of Iraq with Franciscans while I was in college. I brought all of those formative experiences to the text, as well as my experiences as a teacher, wife and mom. I know what it is to wrestle with the faith, and come back to it. Melissa: I’ve raised my children and so I have a different perspective from Anna, who is still in the fray. I’m looking back at what worked and what didn’t, and I’m looking forward to helping form my grandchildren in faith. I can also write about the goodness and the difficulty of caring for an aging parent. My mother lived with me for a number of years before she died. When she moved in, I had a 15-year-old at home and my first grandchild was an infant. I remember days getting my son off to school, and then getting my mother and the baby settled as I watched them both. That is a place in which many in my generation find themselves, sandwiched between several layers of family, trying to care for them all and to care for ourselves. What is unique or distinctive about this book? Anna: It’s a fresh take. We take these ancient practices and show how they can be applied to contemporary life. I also think that it’s a beautiful book, with watercolor illustrations by my friend, the artist, Chau Nguyen. Melissa: We’re not peddling a lifestyle. We’re calling our readers to a life, one that people all over the world have lived and are living. This life doesn’t depend on education or affluence or the proper equipment. You don’t have to be a biblical scholar to read a passage from the Gospel and reflect on it. You don’t need fine china to set a welcome table. In one of my favorite chapters, the DIY wedding, we write of the truth that you don’t need lots of money to wed and wed well. When we included recipes we used simple ones that we’ve tried, recipes actual people can make and afford. The recipes for the make-your-own-wedding cakes we included are ones we baked for a family member’s wedding. We’re looking for joy, not frustration, peace, not anxiety. What is the message of the book? Anna: It’s a beautiful and variegated faith, and most of the time we appreciate only a small slice of it. Pick one practice and try it. You’ll have a deeper sense of how joyful and life giving our faith can be. Melissa: Two thousand years of tradition have taught us how to walk together in rejoicing and in sorrow. All we have to do is dip into and drink from this deep, deep well. Who have been the biggest influences on your faith and writing? Anna: Servant of God Dorothy Day is a role model for me as an American Catholic woman. She was a writer, journalist and mother. She started a newspaper and wrote a memoir. She was independent and true to who she was called to be: her social activism, her passion for justice, etc. But she was also very faithful to church, often at tremendous personal cost. And then, of course, people like my friend Cassie, who, when we were in college, used to go out to Cardinal nursing home with Sant’ Egidio and sing with the residents and cooked chili at the Catholic Worker house once a week. She continues to inspire. Melissa: I have been blessed with the lifelong friendship of Fr. Andrew D. Ciferni. I have been blessed to be part of a parish, St. Mary’s Cathedral in Colorado Springs, where I pray alongside saints every Sunday. But there is no doubt that my husband and I have grown most in our faith by raising our five children. I have a clear memory of a time when one of our daughters was pushing hard against us. She asked me if her anger and stubborn refusal to take anything we were offering hurt my feelings. In truth, it just made me tired. But I knew the question was more important than my feelings, and I told her what I still believe is true. I said, “You take what we teach you and you ask it every question. You shake it. You turn it upside down. You throw it against the wall. What falls away will be our prejudices and preferences. But what is true will remain.” Which means I’ve had a number of my own embellishments shaken off through the years and that has sometimes been painful, but healing, like having a joint wrenched back in place. How has your faith evolved or changed over the years? Anna: I think I’m a little more patient, because I’ve had to be. I’m a little more willing to sit with the unknown. To at least try to trust that God is at work, even in my screw-ups. Melissa: I am more and more aware of the burdens people bear, the crosses they carry. Every Sunday at Mass I look around and see the faces of people whose grace and courage gives me grace and courage. Sometimes I think of God in this way, as the one who knows all the stories. Melissa: It’s hard for me to choose. I come back again and again to John 2:1-11, the wedding feast at Cana. I reflect on the six stone jars, the jars which stand for sinful Israel and, so, sinful us. Jesus doesn’t throw out the water in the jars. There is no destruction. He keeps what is there and transforms it, transforms it into the finest wine. Wine is the drink of celebration, of feasting. I know that is the work Christ is doing in us, and it gives me great joy. We are not to be destroyed. We are to be transformed, healed, made whole, the man or woman God made us to be. We are to become more and more our true selves. Anna: I don’t know if I have a favorite passage. I have favorite characters: Zacchaeus, Ruth, Joseph (even though he doesn’t get many lines). Melissa: I’m at working on a memoir set in my hometown of Tulia, Tex. Anna: A book with Michael Baxter and Nathan Schneider, the working title is “As If It Were True.” It’s about people living lives of radical faithfulness. Anna: I hope to keep writing and working and raising my kids. Melissa: I pray that God will make of my grandchildren men and women after his own heart. What are your regrets about the past? Anna: On a personal level, I regret the times I’ve acted out of frustration and fear and done things that have hurt others. I’m someone who needs to hear Jesus say, “Be not afraid.” I also regret my perfectionism. My fear of failure, sometimes keeps me from being who I’m called to be. My kids (4 and 1) are great teachers, because they’re still free of that ego, and just deliciously themselves. Yesterday my son was a hawk, swooping around the kitchen. In terms of the book, I wish we could have broken it up into two. It just got too long. We had to leave a lot of finished chapters out, because we couldn’t cover everything, but that’s the writing life. Anna: I have little kids and own a small business, so I know how hard it can be for people just to make it to Mass on Sundays. I, too, wish I made more time in my life for some of these practices, but I know that whenever I do, I’m so glad I did. Sean Salai, S.J., is a contributing writer at America.